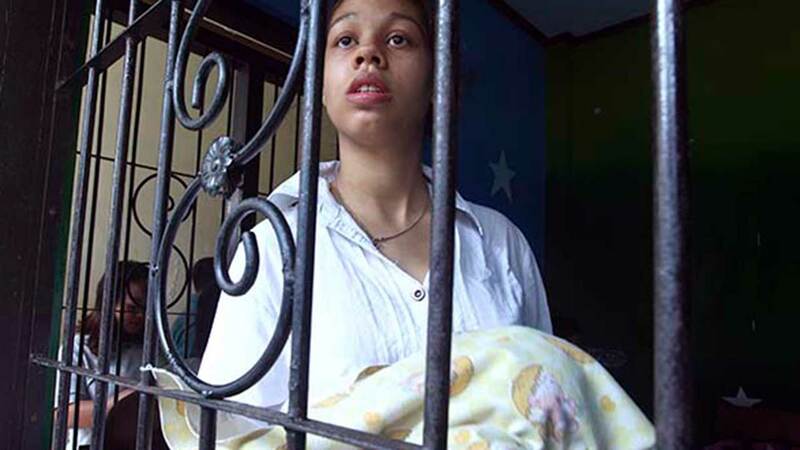 BALI, Indonesia (WLS) -- Heather Mack said she is worried her baby's hair is falling out because she drinks too much Coca-Cola, according to a video posted on DailyMail.com . The Chicago teenager is behind bars in Indonesia while on trial in the murder of her mother, Sheila Von Wiese-Mack. They are expected in court next on Tuesday. Von Wiese-Mack's body was found in a suitcase outside a plush hotel last August in Bali. Mack's boyfriend, Tommy Schaefer, 21, of Chicago, is also charged in the murder. Mack gave birth to a girl, Stella, last month. She is keeping the newborn with her in prison. In the Daily Mail video, Mack nurses Stella and then tells the girl, "You're bald, I swear! "Maybe it's the food, maybe it's the Coke. All the Indonesians think I'm crazy for drinking Coke, maybe they're onto something," she said. According to Parents.com, "almost all babies lose some of the hair they're born with shortly after birth and then slowly grow a new head of hair." The government has offered to place Stella in a home, but Mack refuses. "Stella is all I have with me all the time to keep away the depression that prison," she said. A baby can stay behind bars until he or she turns 2, according to Indonesian law. Prosecutors want Mack to be sentenced to 15 years in prison. Schaefer, who admitted to killing Von Wiese Mack, should get 18 years, they said. Defense attorneys are arguing for lighter sentences since both have regret. "The defendant has clearly provided assistance" for the killing of her mother, the prosecutor said of Mack. She has been accused of helping stuff her mother's body in the suitcase where it was found last August. Prosecutors said they decided to be lenient to Mack because she repeatedly expressed remorse and has a newborn baby. In Schaefer case, Wijaya said hotel security cameras showed clearly that Schaefer went to the women's hotel room with a hidden metal fruit bowl, which was the weapon used to strike the victim. The evidence shows the sentencing demand for Schaefer is appropriate, Wijaya said. "We stick to our conclusion that the defendant has committed a premeditated murder." Schaefer testified that von Wiese-Mack was angry when she learned about her daughter's pregnancy and strangled him before he struck her with the bowl.